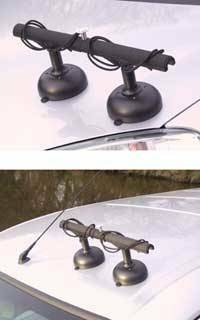  Rounded "T" bar and shock cords allow rods to be mounted at any angle. 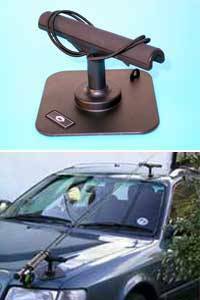  Rounded "T" bar and shock cords allow rods to be mounted at any angle, not just in line with the base.  Holds up to 4 rods.  Soft padding for rods. 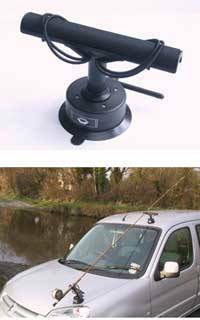  Pillar mounted support for reel clearance. 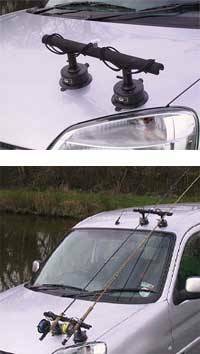  Rods are secured by fabric covered straps for extra security.  New purpose moulded 'T' rack.  Patent granted on VOD principle - Vacuum On Demand. 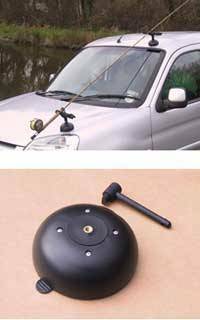  Bonnet to roof mounting avoids the major cause of snapped rods - lifting hatchbacks and tailgates. Vacuum bases for all vehicles.  4 X Suction bases - 2 bases per rack.  Taller for large reels. 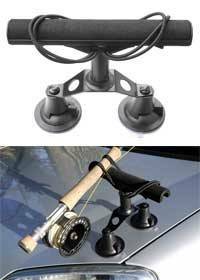  NEW pillar bracket for extra for reel clearance.  Purpose moulded 'T' rack.